“What I got from today is that my development is a spiral. It’s not a linear trajectory”. As a smart and high performing executive the revelation that learning isn’t a neat diagonal line towards mastery was pretty significant. And he’s not alone: most of us hold the belief on some level that success means getting it right the first time. When we don’t we can get frustrated, annoyed and disappointed. The notion that learning is s spiral is gaining strong take-up around educational institutions. It is very relevant when complexity is present. What it means in practice is that the same issue must come around multiple times so that we can incrementally develop our consciousness to match the situation. With each revisiting of the issue we understand more deeply and navigate with more ease. We see more because we have gained some important combination of wisdom, skill, confidence, insight or knowledge. But that horrible feeling of simply going around in circles or even spiralling down is a risk and a reality at least some of the time. One way to limit and manage this is to bring a higher level of awareness and engagement to the issue. Lean in – explicitly give yourself permission to learn. That puts your brain in a receptive frame of mind. It might help to visualise what is happening as a spiral. 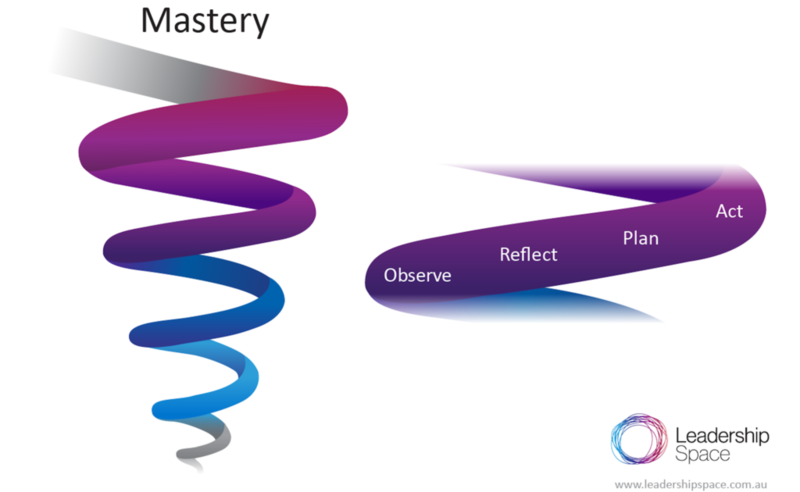 Within each loop of the spiral you probably need to do some observing, reflecting, planning and acting. These behaviours won’t happen in the same order every time or require the same approach because this isn’t text-book learning. This is about evolution. When you are reflecting ask yourself what is different about this turn around the spiral. What did you learn last time and what might you learn this time? How can you embed this learning more deeply? If this feels like an almost painfully familiar issue, it might be a life theme for you. That’s OK, we all have our own ones of those. What might you call the theme (using positive language) so that you can recognise it more easily? See if you can clarify the goal of what you want to learn from being this experience. If you can get really clear and specific on the outcome or payoff, you’ll get that lovely endorphin rush when you get there, which will in turn create more openness to the process next time. 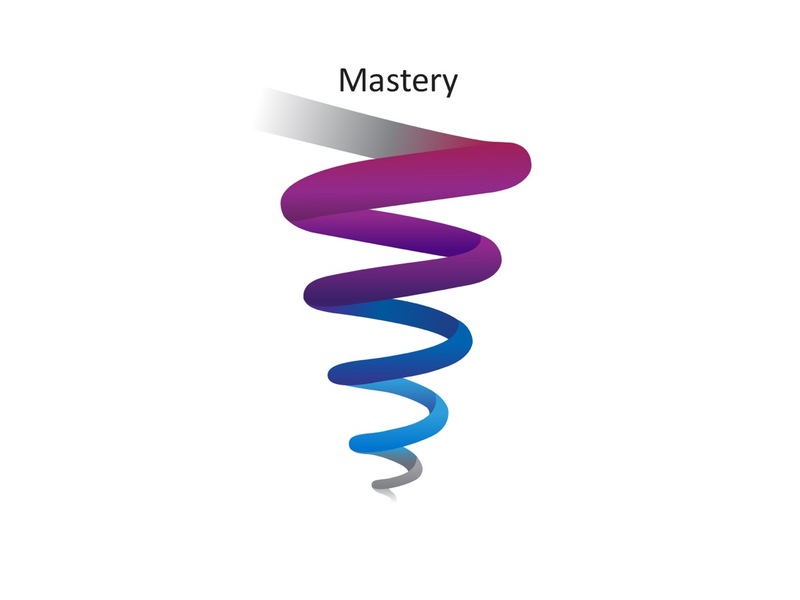 *Spiral Learning is the basis of leading education frameworks including in schools and universities around the world. See Bruner, Wilber and Graves. See more helpful tools in our Insights section. Learn how we can help you achieve your aspirations.